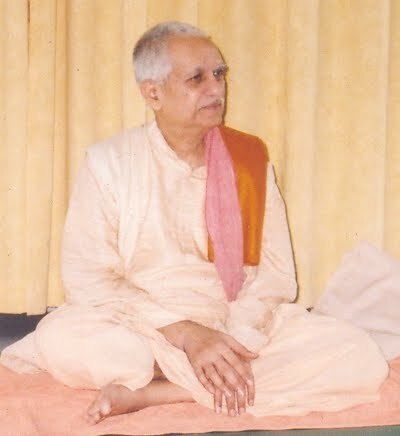 Swami Maheshananda is the chairman and spiritual head of Kaivalyadhama Yoga Institute, Lonavla, near Bombay, Maharastra, India. He is at home in the ancient yoga tradition and indian philosophy. People from all over the world come to him in India, to be touched by his message of the oneness of all being, his love and wisdom. 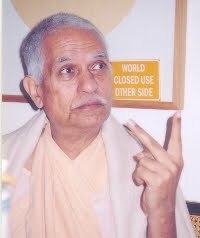 Swami Maheshananda is helping the people to find the source of life inside themselves. He shows and points out possibilities to overcome the obstacles which are blocking our path. He has also been invited internationally, visiting South America, Korea, Japan and mainly Europe to share his teachings. His students have said that he makes them think and realise while keeping the mirror of life in view. During these sessions there would be an emphasis on how to apply yoga in practical life - spiritual, material and other aspects. There will be ample opportunity during the sessions for questions and answers, and participants are invited to ask questions on any topic. Questions may also be submitted in advance. Please note that these timings may include short breaks. No fixed rates. The yogic practice of dana / dakshina (loosely translated as "donation", with meanings associated with giving, generosity, charity and liberality) is empowering you to decide how much to contribute in the balance of give and take of life, as well as the opportunity to cultivate qualities such as gratitude, generosity, and compassion.